Reeds : flexible scores for woodwinds. Contents note: Be it ever so humble / Mark Pollard -- Walk on parts / Rainer Linz -- Six of one / Robert Jackson -- A peculiar object / Marguerite Boland -- Shades of a breeze / Brigid Burke -- Twilights last gleamings / Lindsay Vickery -- The ants are my friend / Mal Webb -- A bout de souffle / Tony Hawkins -- Not yet / Eve Duncan -- The view from Beaumaris / Warren Burt -- Cover me with delicate foliage / Tim Dargaville. Dedication note: "This book is dedicated to the memory of the performer and educationalist Dr Peter Clinch" -- T.p. verso. Copyright held by Red House Editions. Includes performance notes and biographical notes on composers. CD: Blues for D.D. 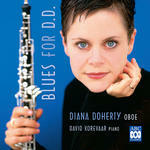 / Diana Doherty, oboe ; David Korevaar, piano. 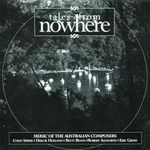 CD: Works for wind orchestra 2. CD: Ik(s)land[s] / Chris Dench.